We want YOU to help us design our new T-shirt! 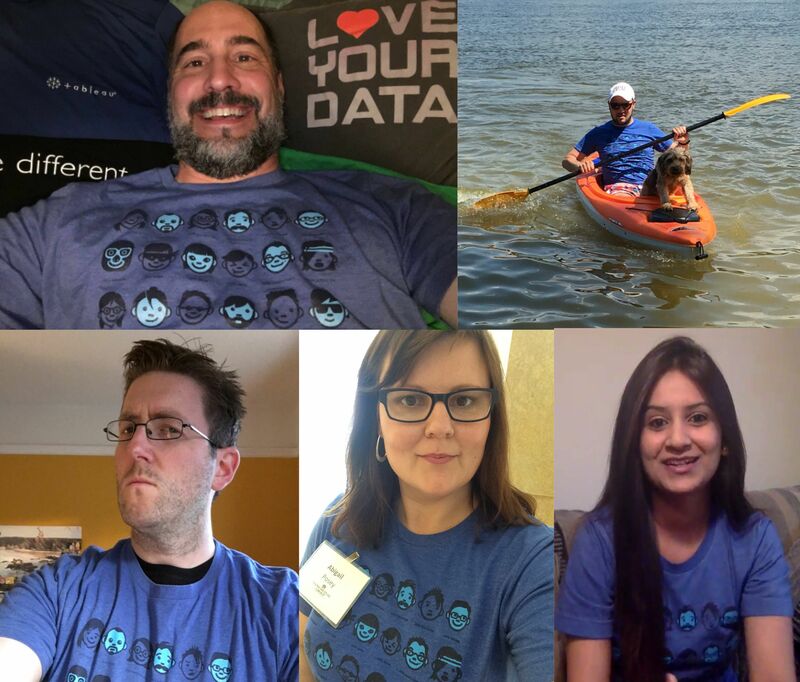 Fellow data lovers, here’s your chance to be Tableau famous: Send us your best design idea for our new Tableau User Group T-shirt! This is our current Tableau User Group T-shirt. And while we love the little faces we call “data personalities,” it’s time for something new. That’s where you come in. Between now and September 2, tweet us your best ideas using the hashtag #UserGroupTee. * Then we’ll select a winner and feature the T-shirt in the Tableau Store. Imagine: Hundreds of people sporting a tee you designed! So embrace your inner-artist and get creative. Here is a blank T-shirt outline you can use. We can’t wait to see what you come up with! New to the Tableau community? Find a Tableau User Group near you and connect with like-minded data rockstars. *By tweeting us your ideas, you give Tableau permission to use or modify those ideas for any purpose and in any medium or format. All expert packers and movers in India Township have their own outstanding types of overall look your items or alternatives and delivery in very smooth techniques. Even, a wonderful alternatives offered as they don’t solely program your useful items with ideal technique while heavier storage area position storage containers for stuffing your items or alternatives are available with best outstanding top outstanding the best great top high quality of elements. If whole items are not effectively organized before one day of your moving then it really allows you to nervous and out of control that exactly you will do at a lot of your as well as. You don’t understand in appropriate way how to appropriately. Thank you for this superb article. I was never an online shopping kinda guy & have recently jumped on to this bandwagon. One of my favourites is shopping with ObeyClothing.com. I am always amazed at the things I end up buying that I would never have tried on! I especially love the wonderful collection of men's coach jackets.